In shocking news this past fortnight out of Texas—unrelated to Hurricane Harvey’s landing in Houston–TSA Agents at Dallas, Fort Worth Airport intercepted a Christian Pastor arriving on a long transcontinental journey from India on September 2, illegally detained him for 24 hours without food, and then informed him he was not going to be permitted to enter the country. Further, agents refused to inform him why he was not being permitted to enter the country, indicating that orders were being relayed to them from higher-up in the TSA food chain. As a consequence, the diabetic Pastor (54), enervated by the long ordeal of traveling to the US, being held without due process or access to an Immigration lawyer, and deprived of common courtesy sustenance while in TSA custody, collapsed and had to be hospitalized after forced deportation. The TSA, Transportation Security Administration, is an agency of DHS, the Department of Homeland Security. Pastor A, whose name is being withheld for privacy, had raised money for this special trip to the United States where he was hoping to meet again with influential Christian friends and colleagues, including evangelical pastor Reverend Chuck D. Pierce and ex-governor of Arkansas, Asa Hutchinson, intending to try to get an audience with President Trump for NSA Whistleblower Karen Melton-Stewart and other activists advocating for victims of American microwave/sonic “surveillance” assault, in order to inform the President on matters related to the shocking reality of covert radiation/sonic harassment and persecution of Christians and other Americans in America. This matter had come to Pastor A’s attention over the past year through his correspondence with various Christian friends and colleagues in America, including Mrs. Stewart, herself a dedicated Christian, who has reported intense persecution by NSA Security and other Intelligence arms of the Deep State, who, by all reports, are currently running covert organized stalking, COINTELPRO, uber-surveillance, and “electronic” and “biometric” surveillance on targeted citizens, illegally using deadly, inhumane, and carcinogenic neural, sonic, and electromagnetic radiation (EMR) weapons, as well as dispatching innocent, healthy citizens via lucrative Defense contracts into terminal 24/7 Neurotechnology/Artificial Intelligence/Social Engineering/Pre-Crime research and Directed-Energy Weapons-testing projects both public-domain and classified, being run variously by DOJ, DOD, USAF, CIA, DIA, NSA, and other branches of government, in conjunction with Universities and research institutions—as covered here earlier in several articles, and described in this Open Letter to Journalists and Human Rights Advocates. 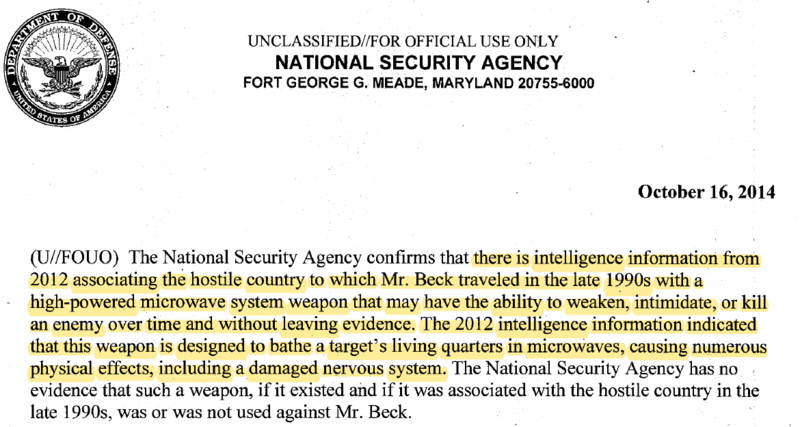 Several whistleblowers from the FBI, CIA, NSA, and MI5, as well as Defence contractors have testified to the fact that EMR weapons-targeting is real. 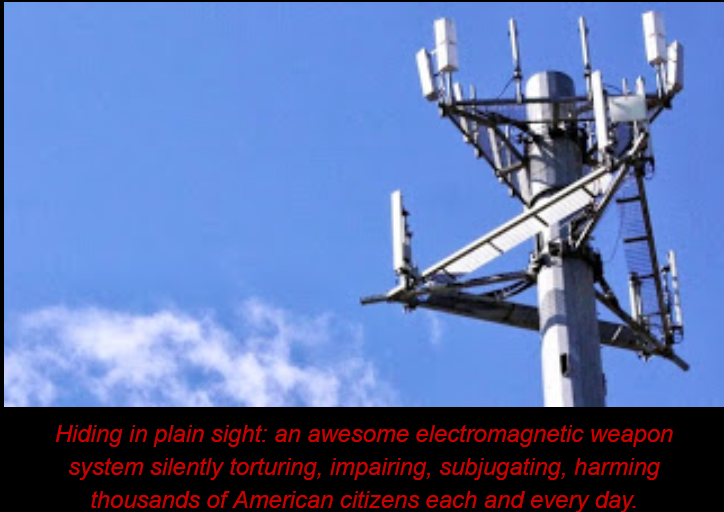 As a consequence, thousands of Americans are now reporting 24/7 stalking and highly abusive bodily and brain assault with carcinogenic microwave and sonic weapons as well as non-consensual ICT (Information and Communications Technologies) implants, reports of which are being ignored or casually labeled delusional by law enforcement, health professionals, and mainstream media–under studied tutelage, it is presumed, of the Intelligence agency and military perpetrators, who are seeking to keep these criminally inhumane programs of surveillance, weapons-testing, and non-consensual neuro-experimentation quiet, and imagine they can do so with impunity under the long-used covers of Secrecy, Classification, and National Security. In true Christian spirit and extraordinary brotherhood and fellowship, Pastor A and several members of his congregation and other pastors in his network have been praying for Christians and others in America reporting these crimes for almost a year now. Text exchange between ex-NSA Karen Stewart and Miriam/Karen reports sonic weapon assault. Karen Stewart had met Pastor A through an Indian Christian Facebook friend Miriam (name changed for privacy) who had given up a career in engineering to follow a vocational call to ministry and serve as pastor in one of Pastor A’s churches that he had built and oversaw in India. Pastor A had helped inspire and organize the creation of dozens of churches yet, by all accounts, is not an ostentatious mega-pastor, such as the USA is used to with television personalities like Joel Osteen, but lives an extremely modest life, ministering to rural populations from the farming and agricultural communities. Over the past year, Miriam had conveyed Karen’s information on targeted Americans under radiation weapon assault to Pastor A. Moved on hearing the plight of these uber-surveiled and truly-persecuted Christians and other Americans, Pastor A began to ask local Indian pastors to set aside scheduled duties and fast and pray for victims. As of date, a group of Indian pastors has been fasting and praying daily for Karen Stewart, “her team” of dedicated American and European activists on the US-Europe Joint Investigation Team–which include this writer, Dr. Katherine Horton, particle physicist, Dr. Millicent Black, pastor, Melanie Vritschan, founder of ICATOR–and all American and global victims, for a period of more than three months. Karen Stewart reiterates, “His churches are for the poorest of the poor, day laborers. Two of his pastors who prayed and fasted for us (Mon-Sat), ended up in the hospital. One due to fasting and the awful heat wave last Spring, and one recently from fasting itself. When the pastors fast and pray, they cannot make home visits and therefore fewer people come to the services, and less donations are made, so they actually sacrificed basic food money for us.” Various regions in India have been in the grip of a deadly heat wave and drought this spring and summer. While Pastor A was not scheduled to meet the President, his hope had been to inform him, possibly along with other well-known pastors in Texas, of the nature and actuality of these covert crimes ongoing on American soil. It should be noted that the pastor he came to meet, as well as another pastor Ms. Stewart contacted in relation to his TSA experience are rather well-known global personalities. Reverend Chuck D. Pierce of Glory of Zion Ministries is a pastor known by Christians to be endowed with prophetic gifts, who travels and ministers across the world. (Pastor A first met with Rev. Pierce in India and resided at his facility in Texas on a previous trip to the States.) Dr. Jeffress, whom Karen also contacted, runs a daily radio and weekly television program, has appeared on thousands of radio and TV shows, is a Fox News contributor, and teaches Theology while ministering as senior pastor at the 13,000 member First Baptist Church in Dallas. Meeting these pastors and presenting his information and views on the covert persecution of Christians in America in 2017 would no doubt have helped alert churches across America to the reality of EMR/Neuroweapon use on Americans, a fact this writer can attest to, which Ms. Stewart has sought in many ways to bring to public attention, including with her very recent cornerstone petition posted at iPetitions.com, requesting the Federal Government to “Take Me Off Your Fraudulent Enemies’ List Now,” her support and endorsement of the January 26 Memorandum to President Trump on Domestic US Torture Programs Running Under Cover of Surveillance, and her statement on the Silent Holocaust Taking Place in the US. Why was an Indian Christian Pastor Illegally Detained, Abused, and Suddenly Deported? Was it in an effort to keep these DEWs secret and these completely illegal programs of extreme, inhumane, 24/7 abuse and experimentation, essentially Radiation/Sonic Torture and Neuro Torture, on US citizens quiet, which prompted the TSA to detain Pastor A at the airport? Notably as well, we must consider this: Given that mainstream media has invested much in hiding this weapon-usage with Fake News stories about “Targeted Individuals” being a bunch of paranoid delusionals imagining they are being stalked and harassed and covertly implanted and radiation-assaulted by the Government or the CIA (see The New York Times, Vice, Motherboard, The Daily Beast, The Washington Post, Wired, Wikipedia, Rational Wiki—and lately, Psychology Today, suggesting the US diplomats in Cuba had mental health, not sonic weapon issues), was the TSA merely enacting the Deep State’s desperation to keep news of these diabolical Torture programs and electromagnetic/sonic weapons hidden? Because there is no doubt about it, there is nothing civilized, normal, acceptable or humane about these weapons. It is this writer’s view that full public disclosure of this deadly “Spectrum” weapon-use on Americans and revelation of the true and horrific nature of their capabilities and usage—which has been suppressed up till now only by CIA-control of mainstream media coverage, using “National Security” tags to keep news outlets from reporting it accurately, and promoting the labeling of reporting victims as paranoid and delusional, with witting or unwitting complicity from the psychiatric/mental health establishment—will most definitely revolt and horrify all thinking and feeling Americans, not to mention all truly religious and Christian Americans. Tragically, this story of reckless abuse by the TSA does not end there. Karen Stewart reports that she was contacted by a woman identifying herself as a Dallas Airport TSA agent and told that Pastor A needed to be put on a plane back home to India and pay over 900 dollars for this act of deportation himself or be put in jail immediately! Further unsettling details about his detainment have emerged: Pastor A was actually arrested—completely without cause. The TSA agents who spoke to Mrs. Stewart were both inordinately focused, she says, on obtaining a credit card number from her, to immediately put the deportation charges on. Pastor A’s Christian friends in the US were contacted by Karen Stewart and worked immediately to find an Immigration lawyer to help. Letitia Peters, an ex-government employee, called the TSA and informed them what they were doing was illegal: there were no laws on the books to suggest they could unilaterally seek to deport Pastor A. On Sep 3, Pastor A was abruptly put on an Emirates flight to Dubai and told he still needed to immediately produce the $900 they needed to fly him home or face being thrown into jail in Dubai! Reverend Pierce’s Glory of Zion Ministries has been instrumental in helping to sustain hope as staff there remained attentive to Pastor A’s unfolding saga. Reverend Pierce was reportedly on an East Coast ministry tour, but staff sought to transfer the needed funds, when TSA moved rapidly to pre-empt any hint of support or advocacy for Pastor A. One Indian woman immigration lawyer had been identified and reached, but was found to be on a plane herself, while a second, Trisha Freshwater, had been located, but did not return calls. TSA’s sudden actions to deport and emplane Pastor A even without being paid must be scrutinized. Might the Embassy of India have been able to intervene to stop this inexplicable deportation? At the time, Karen Stewart reports she contacted the Embassy of India at Washington DC where she was given a general email address which she passed on eventually to Pastor A, but lack of available details then such as flight number and TSA Case Number seems to have prevented immediate redressal by the Consulate. TSA never did in fact provide Ms. Stewart a case number. Indeed, TSA moved very quickly to deport the pastor. “Everything TSA did to Pastor (A) reads as illegal, and a violation of his basic human rights as well as his protections under international law and treaties. Mr. Swapan Chattopadhyay, First Secretary, spoke at length to this writer, explaining that they usually could not take official action unless they heard directly from the person involved—and in this case, as this writer explained, Pastor A had had no chance to contact the Embassy, being first held in custody right after arrival in Dallas–for 24 hours, during which time he was not permitted to communicate with anyone–and then forcibly seated in an Emirates plane to Dubai. Further, he noted that TSA had not contacted the Embassy about Pastor A, which he said was highly irregular since protocol required TSA to provide details about potential deportees in a complete packet so that the Consulate could, after examining all documents, either issue an Emergency Certificate to permit the deportation, or ask for Consular access so they could send someone to personally speak with and assist the Indian citizen in question. In this case, TSA had simply not contacted the Embassy of India at all. Generally speaking, too, he added, such deportations, if involving illegal alien Indians involved in crime, would entail a chartered flight seating 40-50 people all headed to the South Asian region, not abrupt singular seating on commercial aircraft. Pastor A was far from being an illegal alien involved in crime, reportedly has made four previous visits to the USA, had a valid US visa, and had arrived with a round-trip ticket. Mr. Chattopadhyay said he wished to pursue the matter further and take it up formally and officially with the TSA, but he needed Pastor A to personally contact him first and provide passport, flight, and event details. He also invited Karen Stewart to reach him with details. While this story is still unfolding, certain basic questions must be asked. Why was TSA in such a hurry to deport this Indian Christian pastor? On whose orders were TSA agents at the airport acting? Why did TSA hold him without food for 24 hours—is this normal procedure to detain or arrest someone and refuse them access to even One meal, over the course of a whole day and night? And how American was this welcome for this unfortunate man, who had come on a mission of mercy and support to America? Can this abrupt and inexplicable action be reversed and Pastor A returned to his mission, which has been so absurdly and painfully truncated? Or was the threat here that Pastor A presented, as prime instrument in putatively informing President Trump and all of America of the true nature of the Government-run sonic/Spectrum weapon-assault on Christians and others in America, so apparent, that the Deep State clicked into action at express speed to shut this venture down—actually arresting and deporting this redoubtable pastor? Will this case—with its potential for full exposure of US Government Crimes against Humanity inside the USA—be the proverbial straw that breaks the Deep State’s back? TSA has thus far refused to answer calls from this writer or respond to voice messages on this matter. In subsequent attempts to reach TSA for a case number and determine why Pastor A was under arrest and being deported, Karen Stewart called the Dallas Airport, where staff said “It can’t be TSA, it must be Customs,” and was referred to 1 (800)375-5283 and there told to use these web sites, www.ice.gov (US Immigration and Customs Enforcement) and www.cbp.gov (US Customs and Border Patrol), both under the Department of Homeland Security (DHS), although it was TSA, also under DHS, who had initially contacted her, and who had interacted with Pastor A and Emirates Airlines. In conversations with Emirates at Dallas, she reports, staff expressed astonishment that Pastor A could have been boarded without a paid-for ticket, but confirmed his presence on both deportation flights, Dallas to Dubai, and Dubai to Hyderabad. Further, Miriam reports from India that, despite earlier promises at Dubai, Pastor A was actually held overnight at Hyderabad Airport by Emirates Airlines, who demanded there that he pay for his flight ticket before he could be released. Pastor A slept overnight on a couch in the Hyderabad Emirates office, and was rescued the next day by a friend who paid the airline the bulk of the $900 required. This friend was accompanied by a group of five pastors, Miriam, and Pastor A’s wife, who confirmed that when TSA deported Pastor A, they also canceled his valid US visa which had been operative for three years (up to 2020). Pastor A, who had recently been diagnosed with Type 2 (adult-onset) Diabetes, was found to be in extremely frail and enervated condition after the trauma of his unexplained arrest and deportation and as per reports “had to be propped up in the shower.” He was taken to hospital and put on IV, and is still in weak though recovering condition currently. Pastor A, whose cell phone was held by hospital staff ostensibly to let him rest (while this article with its snippets of text was being prepared), has been discharged today from the hospital and is returning home. The Embassy of India is awaiting further information from Pastor A in order to initiate a formal inquiry with TSA. Progress on this case will be reported here. With many thanks to Karen Stewart, Miriam, Pastor A for all reports, research, texts, and graphics. This article may be re-posted in full with attribution and linkback. This post (linked above) points to a very interesting report on RFID chips found in Americans–the report by John Brugle, Ph. D, published on June 8, 2014 can be found also at this link at WITSCIENCE, the Wyoming Institute of Technology. Sample populations were selected randomly from 3 areas in the country, the Northeast, the Midwest, and the Southwest, and each of the 2,955 American volunteers was full-body-scanned for RFID chips–radio frequency microchips. Guess what they found–that one in three, that’s thirty percent of the total number of people scanned, carried a microchip somewhere on their bodies, most often in their teeth. 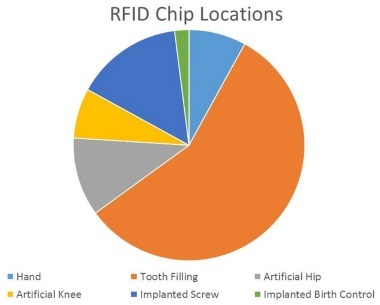 The graphic here shows where else the chips were found, and how often–hands, knees, hips, and in implanted screws (teeth again?) and implanted birth control. Does that sound invasive enough? Journalists in establishment media continue to fail us abysmally by refraining from reporting on what by all accounts continues to be and become a mass 21-st century holocaust. Alternative media is beginning to report more and more on this phenomenon however, and both European and American groups–the ICAACT and EUCACH in particular–working on exposing this tyranny are making progress, as the 2015 International Conference on Covert Harassment, scheduled to be held in Berlin in October, attests. When is America–journalists, scientists, attorneys, the literate, the intellectually-aware, as well as everyone else, including the Doctors, maybe the few remaining ethical Doctors out there–going to put a Stop to this profound evil? Now is the time to stand up and be counted! Please take action, as and how you can, to combat this ongoing carnage. Please also spread this information widely, help keep America informed. In light of the recent reports on the sudden deaths of several holistic and alternative practitioners of medicine, including those MDs who were engaged in cancer research and in researching cures for autism and AIDs, there is now an increased awareness today, it seems, especially among holistic practitioners, of the frantic operation of a covert, criminal coterie emanating from the big drug industries, striving quite manically to suppress vital information about healing, cures, and medical treatments that work, and going to murderous lengths, literally, to do so. HealthNutNews continues to cover this story, and Erin Elizabeth, who has been reporting these stories about the deaths, has several excellent videos on Youtube talking with doctors, cardiologists, and families of the slain doctors, discussing various aspects of this situation, which continues to be supremely concerning. I notice from Youtube videos by Professor Doom (whose video on the Nagalase connections first broke the story about the crucial importance of GcMAF in the body’s internal healing protocols), including this one, featuring holistic cancer researcher Amanda Mary Jewell, that other holistic cancer researchers are being targeted, mischaracterized, and “investigated.” Amanda Jewell reports for instance on how all her correspondence and reports from Dr. Bradstreet–autism researcher, one of the slain doctors–have been “disappeared” from her computer. The deaths of these doctors continue to be unexplained. Several of them were in excellent health at the time of their sudden death. Dr. Hedendal was athletic. Dr. Holt, 33, was also athletic, and trained Olympic teams. See this article by Erin Elizabeth discussing each of the doctors. Dr. Hedendal was found slumped over in his car. Dr. Gonzales was considered to have died of a heart attack, despite being seen in excellent health the day before. Dr. Holt, 33, father of a 3-year-old, was “found dead.” Dr. Ron Schwartz and Dr. Theresa Sievers were found murdered in their homes. Dr. Bradstreet was found in a river with a gunshot wound to his chest. Osteopath Lisa Riley was found with a gunshot wound to her head. 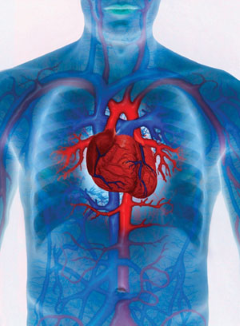 Do healthy, fit people have sudden heart attacks, out of nowhere? Can gunshot wounds be inflicted after death, as cover? Can guns be planted beside people, as cover? Could these speculations imply foul play, covert attacks, and cover-ups? In the article here exploring the links between GcMAF, Nagalase, cancer, autism, AIDS, and the deaths of these doctors, I touched briefly on the Remote Control Radiation Heart Attack Weapon as a possible instrument in these deaths. Does this sound like science-fiction to some? It’s not, anymore. See this DefenseTech article by David Hambling on Military.com, Moscow’s Remote -Controlled Heart Attacks. “Makhunin notes that there is no general agreement on how EM waves disrupt nerves — he mentions ion channels similar to those in the plasma paper — but he certainly seems to be seeing the same effects as American researchers. 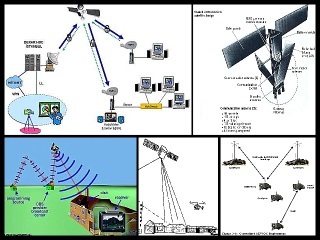 Part One of David Hambling’s focus above on bioelectromagnetic weapons, which discusses the Air Force’s research on using microwave weapons to affect nervous systems can be found here. 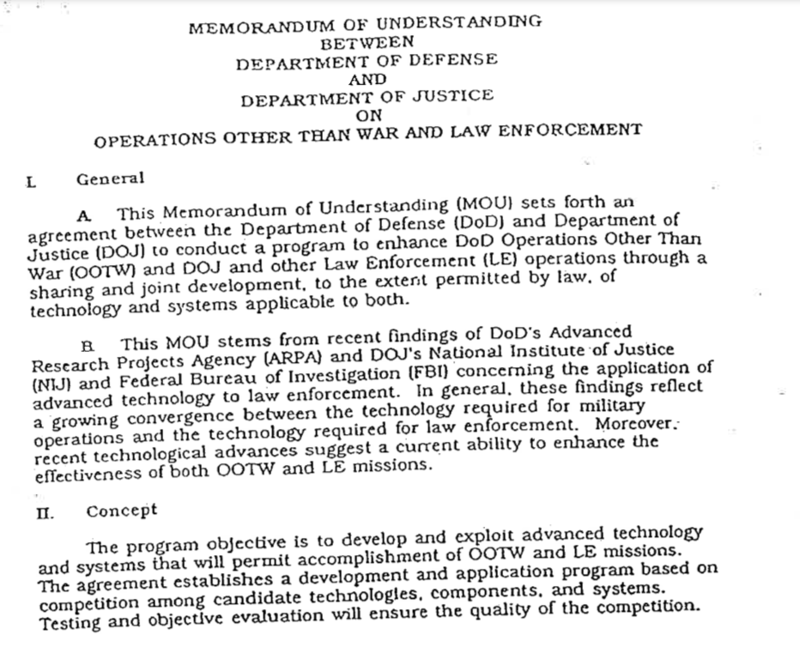 Keep in mind that the US Military as a matter of policy does not reveal the truth about the state of the art in technology that it’s currently using and operating, and keeps many of its weapons and research projects Top Secret, as do the CIA and other Intel agencies. weapon or Non Lethal Weapon technology currently, both in the US and Russia and elsewhere. Several websites and articles online cover many aspects of this deadly new radiation technology, which has been strategically mislabeled Non Lethal, and which is a primary component of the latest addition to the world’s arsenal of kinds of warfare–Electronic Warfare, something the US Military sees as being a global game-changer in their current visions of future war, something they call a Revolution in Military Affairs. See this list of links to some articles and websites online covering Non Lethal Weapons. 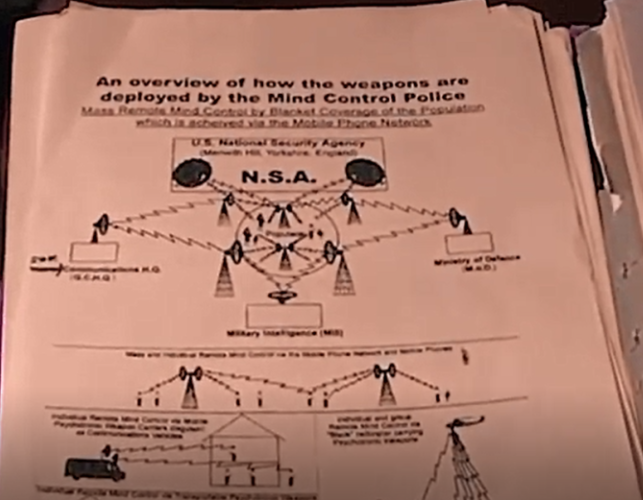 Bioelectromagnetic weapons, as also sonic weapons, scalar weapons, and DNA weapons, all of which use EM or sonic radiation as medium, are by nature Covert Weapons. Their discharge is invisible. 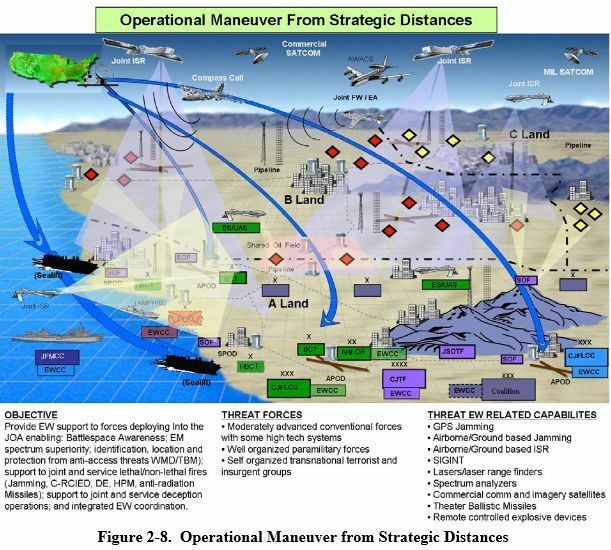 The US Military and Intel agencies, as also militaries and intel agencies worldwide, are currently overtly–and covertly–testing Electronic Warfare weaponry–essentially microwave weapons and sonic weapons attacking human nervous systems and body organs including the heart and brain–on “human subjects.” RFPs on contracts for these weapons testing projects can be found in the public domain on military and government procuring sites. 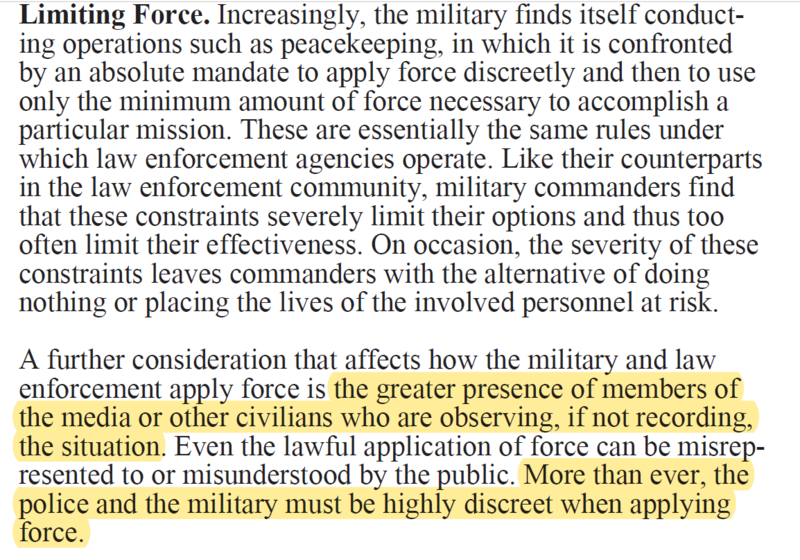 Please visit muckrock.com to look at one such $49 million US Air Force contract with weapons-manufacturing General Dynamics Corporation, purportedly engaging in such research–Directed-Energy Bio-Behavioral Research–on consenting human volunteers, in a confined space, information provided this week after much delay in response to a FOIA request made by this writer a year ago. “Targeted Individuals” worldwide–ethical individuals in communities being attacked by corrupt and criminal governments for their integrity, ethicality, or activism– however also know that these weapons are being tested covertly, on their bodies. 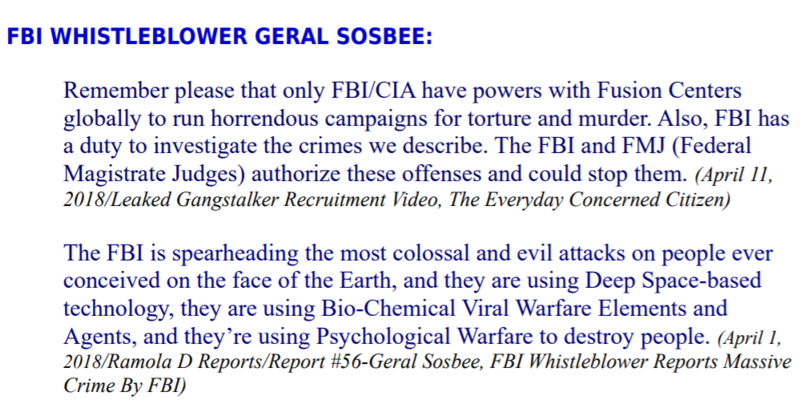 In other words, they are experiencing assaults by remote-control radiation neuroweaponry on their persons. These assaults are not acknowledged and not addressed by local Law Enforcement, by local government representatives, by members of Congress, nor by mainstream media. 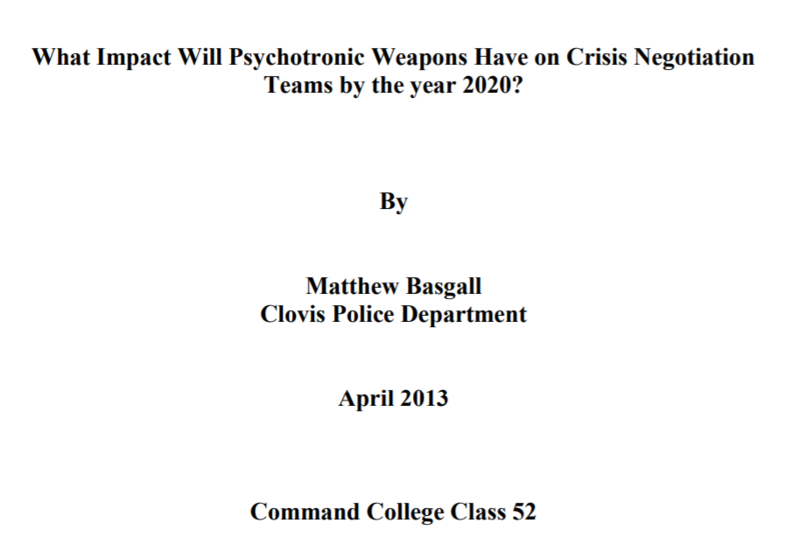 See this article here, discussing Clandestine weapons-testing projects, Electronic Warfare, and “Targeted Individuals,” which notes that the non-recognition of these covert assaults on civilians, activists, and veterans is deliberate, intentional, and strategic. See this article by Kevin Barrett on Infowars.com, detailing clandestine microwave weapons attacks on activists and community members: “Disable the Purveyors”: Is the US Secretly Liquidating Dissidents? Please explore other articles here on the subject, under Human Rights, and visit other sites online reporting these assaults, including Surveillance Issues, ICAACT, Renee Pittman’s sites and books, Mark Rich’s site and books. 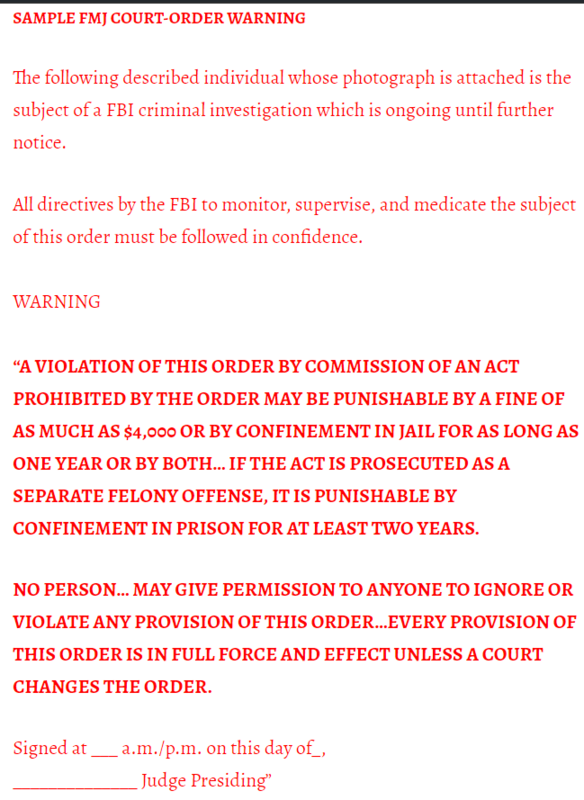 Note that all “Targeted Individuals,” while being assaulted in this fashion, their complaints and reports of assault being intentionally ignored by local “authorities,” or mischaracterized as “schizoid,” “schizophrenic,” and delusional, are also made the vicious target of deadly smear, slander, and defamation campaigns, fraudulent “criminal investigations” suddenly opened on them by local Intel–NSA/FBI/DHS, and the target of local harassment by conscripted communities under the guise of Community Watch/Policing programs. Testing such deadly radiation weapons covertly on populations fills many nefarious Mil/Intel objectives, including mass control of populations, both by selecting/scapegoating specific targets, and essentially terrorizing the rest of the population into assisting in the persecution of the target, a tactic that is lifted directly from Nazi and Staasi action in Third Reich Germany. Paranoid schizophrenia, which was literally used as a weapon to disappear activists in the Soviet Union once, has made a comeback in the US and other “liberal democracies” worldwide. Yes, these are deadly times we are living in. 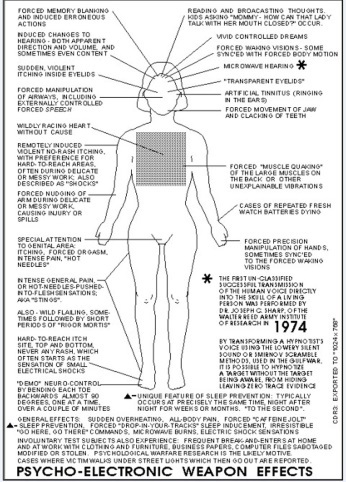 Among the weapons reported as used on their persons by “Targeted Individuals” (including this writer), patents for which may be found online, including here, at Renee Pittman’s site, is the remote heart attack weapon. “In the past few years, it has been demonstrated that an electrocardiographic (ECG) waveform may be used to identify a person, with an accuracy of about 95%. This is significantly better than the typical accuracy of a fingerprint. However, an ECG usually requires at least 2 electrodes attached to the person, which has limited its usefulness in real world applications. A recently developed microwave cardiogram, disclosed in a published US patent application (publication number 20040123667), may be employed to provide a unique bio-signature for a person. This approach uses a specially designed microwave transceiver to form a narrow beam directed at the person of interest. The reflected microwave signal contains both the electrocardiographic waveform and the impedance-cardiographic (ICG) waveform of a person. This technique works over large distances, up to tens of meters, and it is very difficult to alter or disguise the ECG and ICG waveforms because they are a fundamental aspect of a person’s physiology. The microwave signal may penetrate barriers such as walls and doors, allowing for new capabilities in human identification. Embodiments use a microwave cardiogram as a bio-signature for an individual. The microwave cardiogram may be measured over distances of several meters, and through barriers such as doors and walls using a microwave signal, to provide a non-contacting, remote sensing method to accurately identify specific individuals. 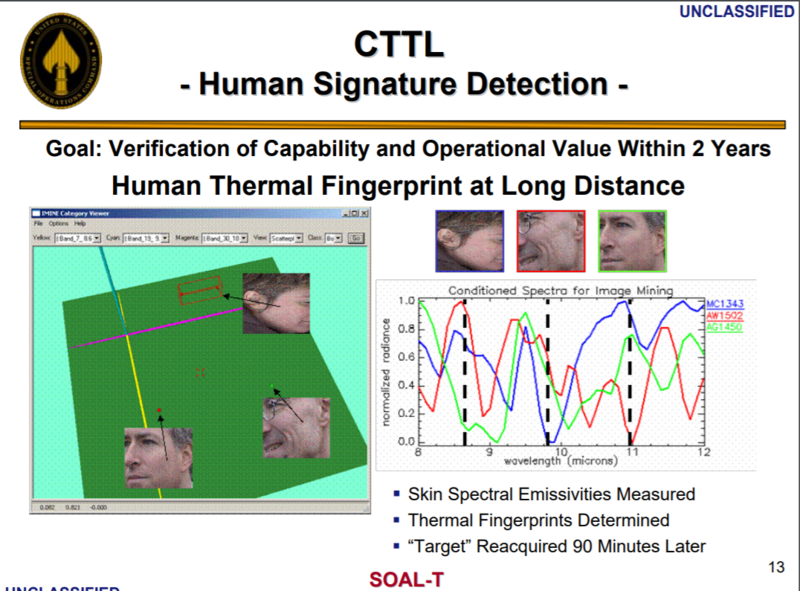 Embodiments process in real time the reflected microwave signal, which contains the cardiac signature of the person, using digital signal processing techniques. Embodiments use machine learning-template methods to segment out each cardiac beat, and then statistically compare a few beats of the microwave cardiogram to a pre-existing data set in order to identify the individual.” See more about that patent on this page at the Google patents site. No doubt any cardiologist can spell out what happens when intense electromagnetic or sonic energy of some frequency is pulsed relentlessly into your chest or at your heart. Very simply. Metal blocks the radiation being used by this weapon, whether electromagnetic or sonic. 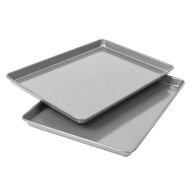 If you feel a heart attack coming on–and you just happen to be a cancer or autism researcher or holistic doctor (or a writer/activist)–one, just move, get out of wherever you are; two, just where you are, hold up a metal plate or sheet to your heart/chest region, hold it against the area you feel the pressure or pain,also hold it against all of the entry-points mentioned above. If it stops or subsides immediately, know that you are being attacked from the outside. “Targeted Individuals” are currently protecting themselves from distinct heart-attack weapon-assaults with metal. I am posting this information with intent: to inform holistic doctors, researchers, and practitioners that you can indeed shield yourself from invidious external attack by this weapon. No doubt there are other measures of safety you must practice, but how does one protect against invisible radiation, directed with intent at your heart? Try getting a radio frequency meter, to record pulses. But if you hold up your shield made of steel plate cookie sheet and Reflectix, you will actually hear the unmistakeable hit of pulses on the bubble foil. You will know with certainty whether you are being hit from the outside with radiation, you will know what direction it is coming from–up, down, to your left or right; and you can prove to anyone in your vicinity you’re being hit. Most important though, you can shield yourself, and protect your heart. Also note: move immediately, make a micro-move or a macro-move, but Move. Major efforts have been made, including by mainstream media reporters, to discredit “Targeted Individuals” in order to keep these covert weapons covert. 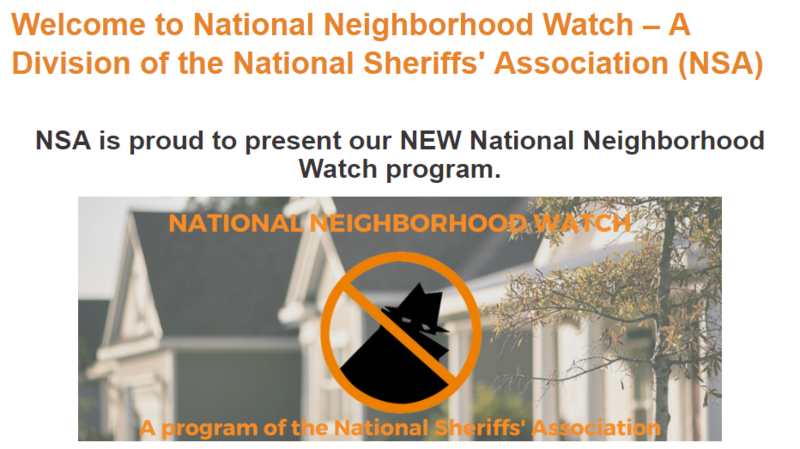 Please understand–even if some of you are still unaware of all these multiple assaults on us, including Mass Control technologies being deployed on us everyday–it seems we are now living in a totalitarian, corporate police and military state. This is all part of the Mass Control Mechanism being deployed against us. Writing, speaking, and spreading the word are some of the tools we have, to completely destroy these attempts to control and silence us, and to end the hold of this corporate/military tyranny over us. I have no certainty that the Remote Radiation Heart Attack Weapon was used against these doctors. I speak merely to present a possibility–as a writer, teacher, and activist–from my ongoing experience of being assaulted with this weapon, among other(EMR/sonic radiation weapon)s, an experience which began after I contacted Senators about chem trails and spoke out locally in a school community about the unethicality of extra childcare fees; I survive and thrive primarily through vigilance and effective shielding. Please spread and share this information widely; let no more of our holistic health researchers and practitioners be silenced. There is no media to rely on currently but ourselves.